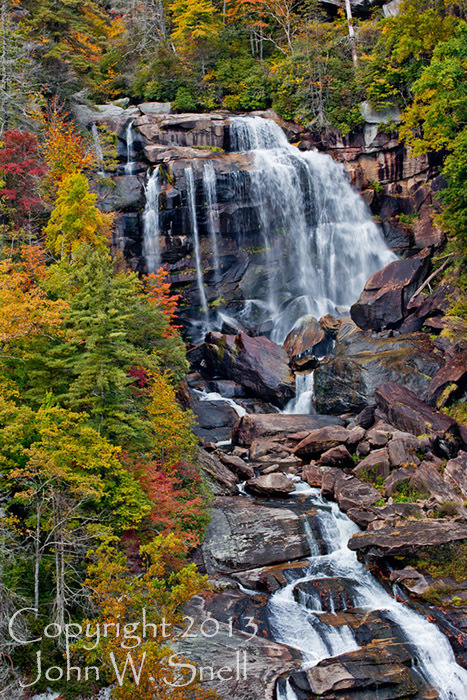 Whitewater Falls is the highest waterfall in the eastern U.S. Its waters cascade some 411 feet from top to bottom. There are two convenient vantage points for the falls, one at the end of a quarter-mile paved trail. To get to the better of the two vantage points, continue beyond the paved trail down 154 steps to a wooden platform.